Use FingerVein Biometrics to avoid fingerprint issues. Our non-invasive, contact less finger vein reader scans below the skins surface for a perfect read, every time. Cuts, dry skin, scars, and other factors can sometimes prevent fingerprint readers from reliably enrolling or identifying a person. The M2-FingerVein™ reader solves this issue by capturing images of the vein patterns inside your finger. These patterns (like other biometric patterns) are unique and because they are inside your body, finger vein patterns are virtually impossible to reverse engineer and replicate. Our finger vein reader works by passing near-infrared light through the finger which is partially absorbed by the hemoglobin in the veins allowing an image to be recorded on a CCD camera. Finger vein authentication is extremely robust, demonstrating a unique ability to easily cope with sweaty, dry, or aged fingers. 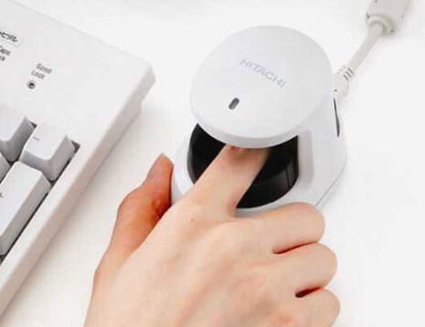 The finger vein reader is also surprisingly inexpensive, making it a viable choice for biometric identification projects of any size, across all markets. Fast authentication speed: Through the optimized Bio-Plugin server, the 1: N identification occurs at a rate of 8,000 templates/second.